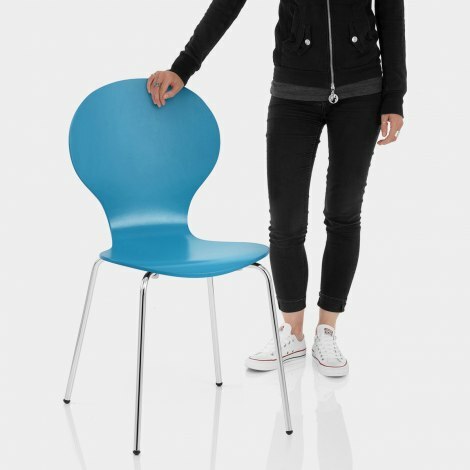 With a calming oceanic aesthetic, the Candy Chair Blue is great stackable design that is both fashionable and functional. Sure to liven up any interior setting with its marvellous marine feel, the Candy is the perfect multipurpose piece for the home. 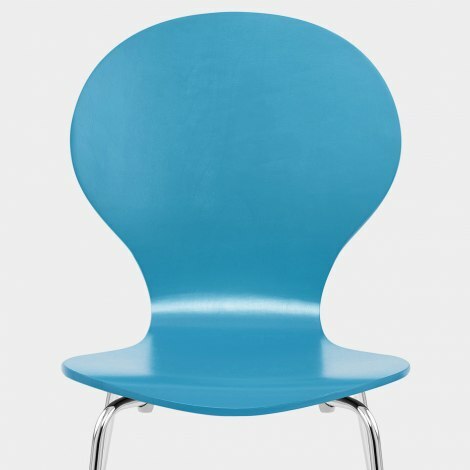 Beautiful in blue, the satin finished wooden seat is crafted from a singular piece of bentwood with a chic circular design. This is comfortable as well is visually striking. Set on four polished chrome legs complete with protective floor plugs to help preserve flooring, these provide a strong and stable base. "I was really pleased with the speed and efficiency"
Sturdy and a great shade of blue - better than it appears on the computer. The chairs were easy to put together and look great. Love them good value for money. Speedy delivery. One chair slightly damaged on delivery. Great customer service replacement arrived NEXT morning. Highly recommended and would use again. I was really pleased with the speed and efficiency of this firm and the delivery was spot on. The chair was totally as stated and fits in well with our colour scheme.